Special occasions deserve a special venue and there is nowhere quite like Gulf Harbour Country Club this side north of the Harbour Bridge. With multiple rooms catering for celebrations of all sizes, Gulf Harbour Country Club is the perfect venue for your birthday or anniversary party. Enjoying a first class location in the heart of Gulf Harbour on the Whangaparaoa Peninsula, the Country Club has the 'wow' factor when it comes to events. We can set any of our event rooms up to your requirements and work with you to arrange for DJs, dancefloors and catering. Our dedicated Events Team will work with you every step of the way to ensure your event goes without a hitch, ensuring you can relax and enjoy your evening. You can be involved as much or as little you like in the lead up to your celebration event - once we know what you want, our team will make sure everything is setup just the way you want it for the big day. If you are looking for somewhere special for a birthday or anniversary celebration, look no further than Gulf Harbour Country Club. 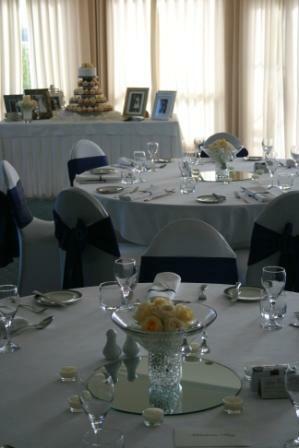 From 18ths and 21sts right through to Golden and Diamond Wedding Anniversaries, we can cater for all ages and all celebrations. For more information, give us a call today on 09 428 1380 or email us and we'll give you a call back.